I believe that spiritual and temporal well-being is a personal responsibly of each and every one and can only be achieved through obedience to God’s laws and commandments. In 1984, as I was finishing my high school, I was hit by a car and spent some few weeks in the hospital. As I had no chance to complete my high school at the same time as my peers, I was feeling my life becoming troubled, dark and hopeless. I had a big question in my mind about who I was going to become. Three years later I had a chance to read the Book of Mormon, and this helped me understand that men are created to reach the full purpose of their mortal existence. It read, “Adam fell that men might be; and men are that they might have joy.” Those words gave me hope and I started seeking the means to have that joy. In pondering the Scriptures, I have read from the Book of Mormon and discovered that the Lord was helping Nephi in every situation. This gave me hope that the Lord would also assist me if I take righteous decisions and then act. Since then my life has completely changed to become better. The Book of Mormon lightened my life, and I was able to take decisions that led me to complete my Technical High School (even late), find a job, get married, and later pursue my education – which I am still continuing to do. Studying the Scriptures, reading the words of the living prophets, and praying with a real intent will invite God’s power into your activities. Nephi and his people are a great and inspiring example to anyone who seeks a balanced life regarding spiritual and temporal well-being. Seek the Lord’s guidance in all that you do. Elder L. Tom Perry taught, “The Lord does help when we go to him in time of need, especially when we are committed to do his work and respond to his will”. Have faith to follow and act diligently. Elder David A. Bednar taught, “Please notice the requirement to ask in faith, which I understand to mean the necessity to not only express, but to do, the dual obligation to both plead and to perform, the requirement to communicate and to act. Faith is a principle of action. If we have faith, we become agents to act and not to be acted upon”. President Marion G. Romney instructed the Saints, by quoting Brigham Young, “Instead of searching after what the Lord is going to do for us let us inquire what we can do for ourselves.” As our faith leads us to obey his commandments and turn to him, he will be ready to assist where we are unable to progress. “During the worldwide Great Depression, the First Presidency spoke about ‘the evils of a dole’ and asked that ‘work…be re-enthroned as the ruling principle of the lives of our Church membership’”. Spiritual and temporal well-being is a personal responsibility of each and every one of us – and can only be achieved through obedience to God laws. We also see that the spiritual and temporal are inseparably connected, but that we need to become spiritually self-reliant before temporal self-reliance can be reached. Just like the pedal – connecting to the rear wheel of a bicycle through a chain – produces the movement to speed up the front wheel, spiritual self-reliance gives all the efforts and strength to our temporal well-being. Jesus the Savior taught, “But Seek ye first the Kingdom of God and his righteousness; and all these things shall be added unto you.” To teach spiritual and temporal self-reliance is to teach undiluted spiritual truth. I have come to know by simply applying the Gospel, and the words of the living Prophets that these principles are true. We have worked and are still working as a family to reach spiritual and temporal self-reliance and the Lord has accomplished his promises to us. 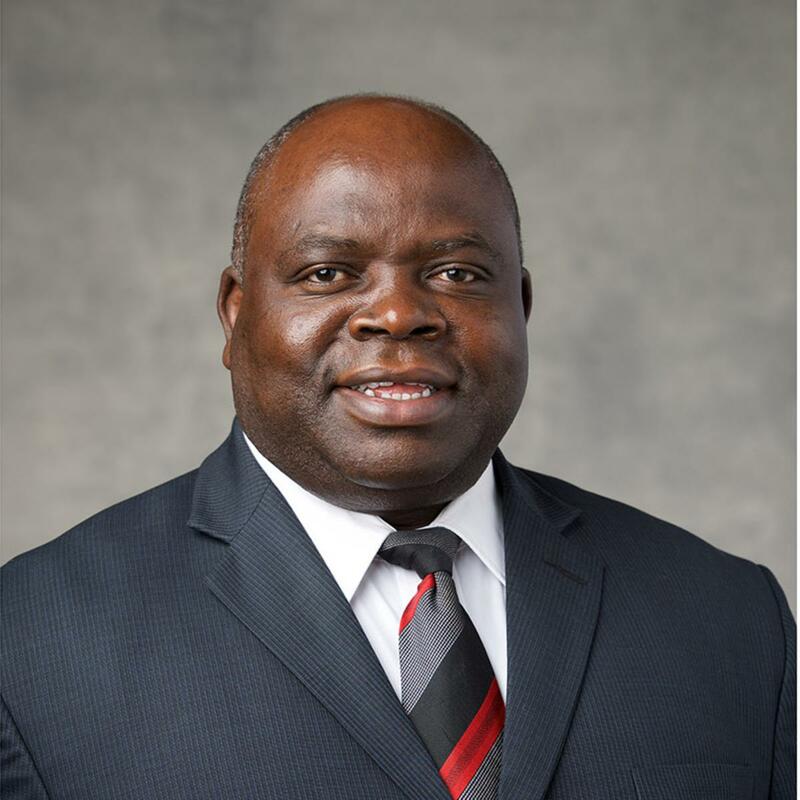 Elder Elie K. Monga was named an Area Seventy in April 2017. He received a bachelor’s degree in English literature education in 2009. He has worked for the Church as a coordinator for Seminaries and Institutes since 2000, and was mission president in the Republic of Congo Brazzaville Mission from 2014 to 2017. He is married to Vianney Mwenze; they are the parents of four children. Elder and Sister Monga reside in Brazzaville, D.R. Congo.